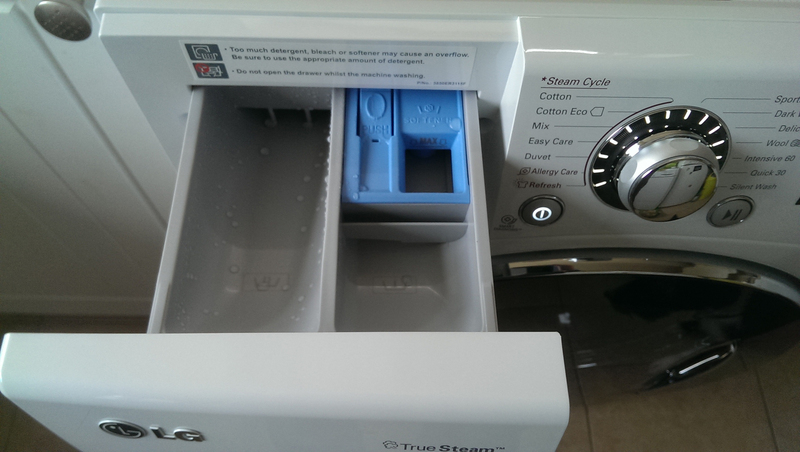 Laundry Goes High-Tech - LG True Steam Washing Machine Review - Reclusive Fox ""
On Monday morning two men trundled the LG True Steam Direct Drive washing machine into my kitchen and left me wide-eyed with a huge smile on my face. It’s not every day that you get a washing machine delivered to your home, to keep, in exchange for a review. This is by far the largest product I’ve had sent to me and I’m still pinching myself to make sure I’m not dreaming. It’s extremely impressive, the door is large and it looks almost like a TV screen, I half expected to see an image pop up once we’d plugged it in. That didn’t happen of course but it wouldn’t have surprised me if it had. 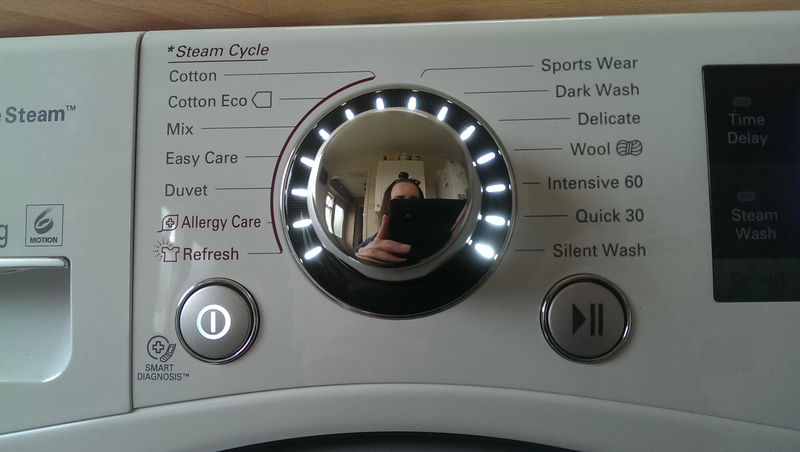 What does happen when you turn it on is the screen on the right lights up and it plays a short little song as if to welcome you to your washing experience. The song also plays once the load comes to an end and when you turn it off too. It’s not a needed touch but it’s one I appreciate. Somehow it takes away the pain of having to do yet another load of washing and puts a smile on your face. All three of us had the same reaction so I know it’s not just me being weird. It takes 9kg of washing; apparently this equals about 45 t-shirts in one load. Crazy! It has an A +++ energy rating and this is something I love. Not only is it less draining on the planet it’s also less demanding on my pocket. It saves energy thanks to the Direct Drive so my electricity and water bills are reduced. I like this a lot. There are 14 different cycles to choose from and they have everything from your usual cotton wash, a duvet wash and even a sports wash for really pesky stains like grass, sweat and mud (it also mentioned red wine and I’d like to know what sport involves drinking red wine as I’d like to take it up). You can pick to have your clothes steam cleaned for extra bacteria busting washing power. This option shows up on the Allergy cycle and you can choose to have a medic rinse too! A MEDIC RINSE! Amazing. Also a great addition if you have OCD or suffer from allergies like G and Elle do. I’m going to make good use of this cycle and hopefully both G and Elle will find it offers some relief from their asthma and sensitive skin. I thought I should share with you some of the main features that I’m really happy with. First off is the size of the tub. The machine is your typical size but the door is massive and so is the tub inside. This allows me to reduce the number of loads I need to do during the week and anything that cuts down my washing pile is fine by me. The second thing I appreciate is the technology behind this machine, it’s certainly impressive. The touch screen allows you to customise the cycle you choose so if you want an extra rinse or even a tub rinse or to reduce the time of the wash you can do so. 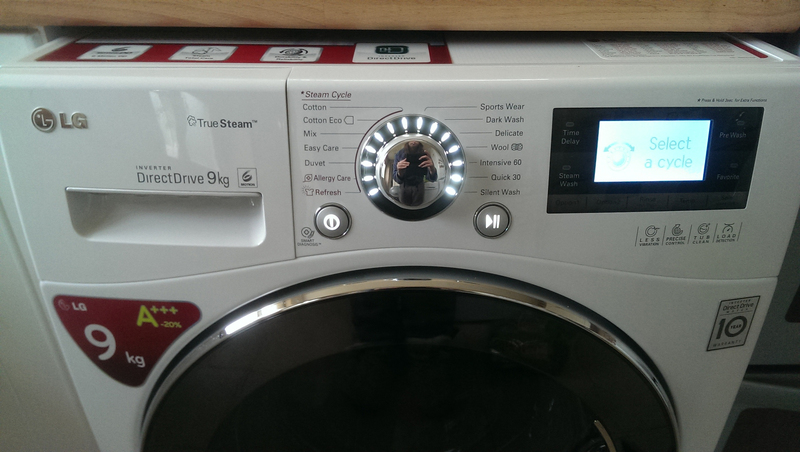 While the wash is on the screen lets you know how far through the cycle it is, how long you have left to the end of the cycle and even shows you an animated image of what’s happening. There’s no getting away from it, it’s cool and cute. Another great feature is the downloadable app called the LG Smart Diagnosis App (I found it on Google Play immediately). This app will help you to diagnose any problems you have with the machine so it could potentially save you money and help you to solve the problem without calling out an expensive repair man. Don’t worry if you’re a technophobe because it’s still really simple to use. The third thing I noticed during the first few washes was how quiet the machine is. I’m not sure if my old machine was especially loud but the low noise level of the first wash actually caused me to get out my phone and film it because I couldn’t quite believe it. That was on a normal cotton wash, but if you want it even quieter (perhaps you have an infant in the home or thin walls and sensitive neighbours) then you can choose the silent wash cycle for even less noise! Those are really nip picky points and I think that goes to show how hard it was to find any faults. I think it’s obvious that I am not only happy with this machine; I’m actually thrilled and super impressed by it. For now at least my washing is no longer a chore, it’s a high-tech simple dream that’s actually fun to use! What’s happened to me? I know the charm of the gadgetry of the machine will die down eventually but even then I am left with an energy-efficient machine that’s going to save me money and leave my clothes really clean. So yeah, I highly recommend the LG True Steam washing machine to anyone who is fed up of their old machine breaking down, failing to do a good job or leaking water all over the kitchen during each load (like my old one). 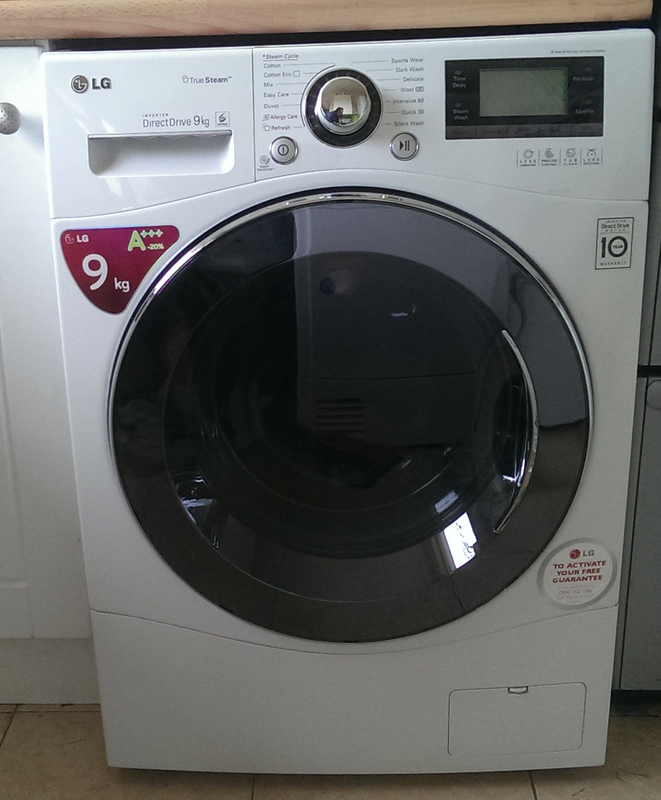 I was sent the LG True Steam washing machine but all opinions and thoughts are my own. Wow what an absolute beast! I wish my washing machine was quiet, can’t put it on near bedtime haha! My old machine was the same. We couldn’t really have a conversation if we were in the kitchen when my old machine was on. I actually got my phone out and filmed it when I first heard how quiet it was, I couldn’t believe it. This is my first LG product for years (my last one was a phone) and I have to say they have won me over completely with this machine. Now I am eyeing up their televisions…just need to save up for a couple of years! I still can’t believe it to be honest, feeling truly blessed right now 🙂 I’ll pop on over now and add it. Thanks for the invite! We need to replace our washing machine every year or two on average. We do at least five loads a day so large capacity is a must. Quiet machines are also a huge advantage, given that we home educate at the kitchen table right next to the machines. A great and very thorough review. Thank you. We have had there tumble dryer for severel months now not only is it quiet, it has a 9kg load and so quiet but 1£ a load cheaper to run than our old hot point dryer.